Tras la incertidumbre de los últimos meses, incluyendo la posibilidad de que Grecia tuviese que abandonar el euro, por cierto no perderse la foto que dejo al final de la noticia, parece ser que por el momento esto no se va a producir, Grecia ha presentado un escueto PDF en el que podemos ver cuales son sus previsiones para este año. 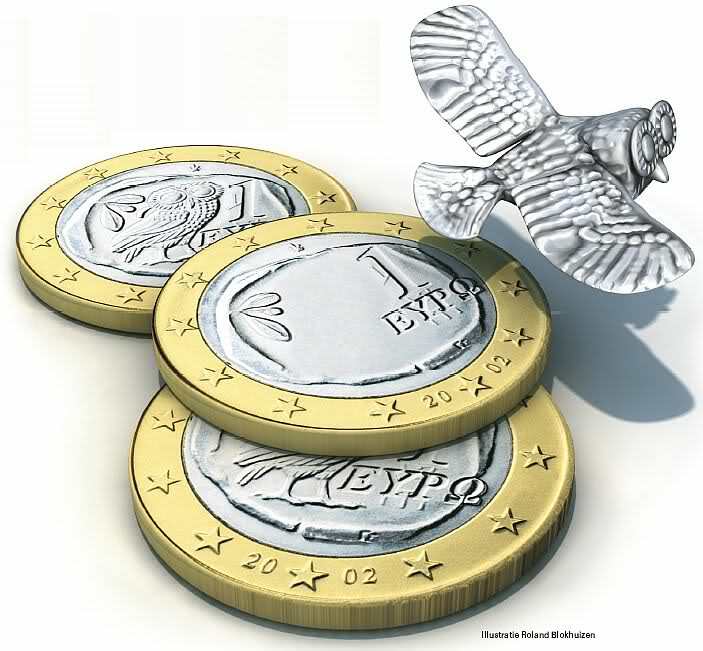 ·Collectors’ blister skin pack with a 2 euro Commemorative Coin issued to celebrate the “10 years of the Euro” (2002-2012). ·Brilliant Uncirculated (BU) sets of Greek Euro Coins, containing all eight denominations, dedicated to “The island of Santorini” which has been selected to be the winner in a public web voting competition organized by the Travel & Leisure NY, concerning the best island in the world for 2011. ·Brilliant Uncirculated (BU) sets of Greek Euro Coins, comprised of all eight denominations, as well as of one silver collector coin (triptych), dedicated to the famous Greek Doctor George Papanikolaou, commemorated on the 50 thanniversary of his death. celebration of the 100 th anniversary of the Liberation of the City of Thessaloniki or the Outbreak of the Balkan Wars. ·Mini Gold Collector Coin, with the face value of 50€ dedicated to the Archeological Site of Pella (Macedonia). ·Silver Collector Coin, with the face value of 10€ dedicated to the «Hellenic Culture & Civilization». ·Proof Coin Sets especially for collectors, in limited edition. Para cerrar esta noticia, vamos a poner una nota de humor, con la visión desde el punto de vista numismático, de como quedaría la moneda de 1 euro griega en caso que finalmente tuviese que abandonar el euro.